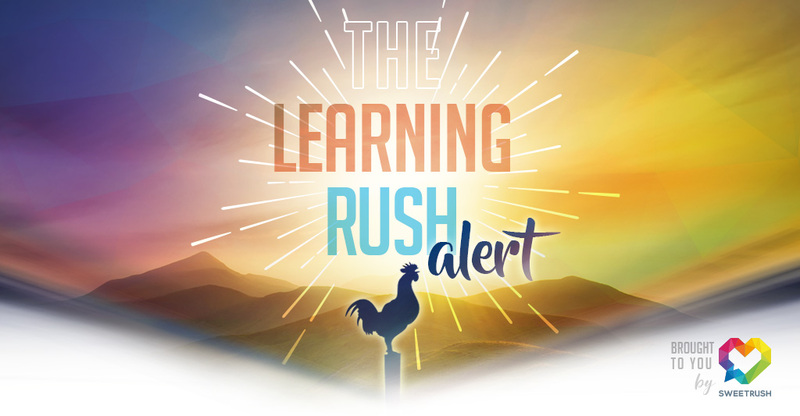 Blogs, News, and Events / Blogs / LR Alert: Corporate Training Gamification 101 – Back to the Essentials! In my previous posts about corporate training gamification, I suggested articles that discuss practical examples and techniques for your next game-based solution. This post covers essentials that you can’t afford to miss. Gamification is a valuable and effective learning technique that, as many authors conclude, is about much more than badges, points, or leaderboards. “Gamification should be thought of as the concept of using game-based mechanics, aesthetics, and game thinking to engage people, motivate action, promote learning, and solve problems,” Karl Kapp writes in his white paper What Every Chief Learning Officer Needs to Know About Games and Gamification for Learning. This blog post offers a compendium of SweetRush expertise on why gamification may be the perfect technique for your next learning solution. After all, in the end we are all humans, and we like our learning with a dose of fun! Considering characteristics of some popular games, John-Carlos Lozano, SweetRush’s Chief Creative Officer, describes what elements are important to keep in mind in order to produce motivating, engaging, and appealing corporate training gamification. Read: What Makes a Good Learning Game? The power of play is essential in gaming. This blog post covers one of the most important building blocks of gaming, and it shares links to some interesting videos that focus on just how successful a game can be in achieving learning objectives. Corporate training gamification is about so much more than earning badges and points. When designing a program using this learning format, success depends on accurately identifying and integrating both organizational and employee goals. Millennial and many Gen X—workers depend upon previous generations to cultivate professional experience and wisdom , and thereby improve their business skills and apply best practices to their respective fields. Using simulations as a learning strategy helps accelerate the learning curve for these younger generations and provides them the knowledge needed to realize their potential sooner. If you want to learn more about corporate training gamification, check out our page on Games & Simulations.